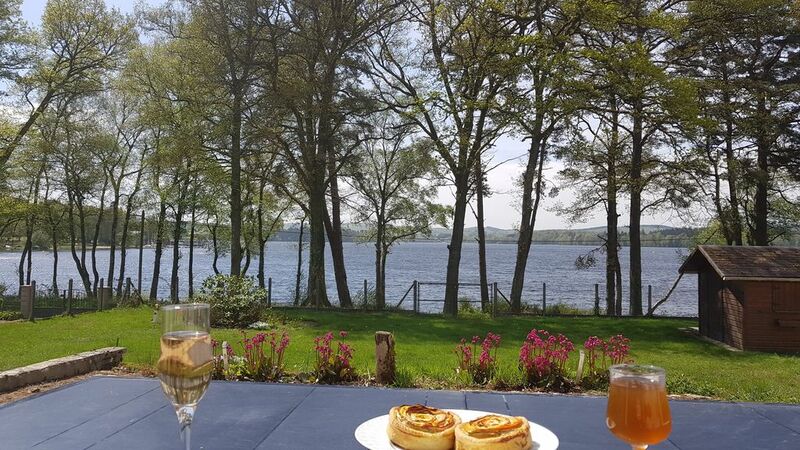 Bungalow 62 m2 comfortable, very bright and pleasant with large terrace in front, breathtaking views of Lake Settons with direct access to swim or fish at the bottom of the garden. It is located in the heart of the Regional Natural Park of Morvan in Burgundy. About 250 km from Paris and 40 from A6 toll Avallon. House on fenced plot of 1000m2, with 2 bedrooms each with a bed of 140, duvets or blankets and 60x60 pillows. baby folding bed available as well as a folding stroller. Fully equipped kitchen, garden furniture, barbecue, parasol, 5 bicycles. HD TV, mini Bluetooth channel, 4G reception. Close to the house, many water sports, marina, paddle boats, sailboats, paddle, inflatable course, restaurants around the lake and grocery store, very nice hikes to do, possibility to go around the lake, about 15 km by bike.